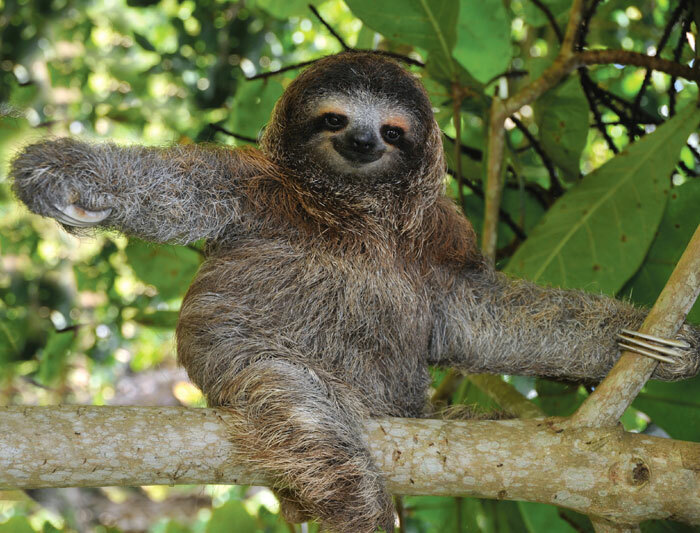 COPA has dropped the price of their flights from Toronto to San Jose, Costa Rica in September, October and early November 2017 down to $245 CAD roundtrip including taxes. The flights have 1 stop in Panama City, Panama each way, for about 45 to 90 minutes. 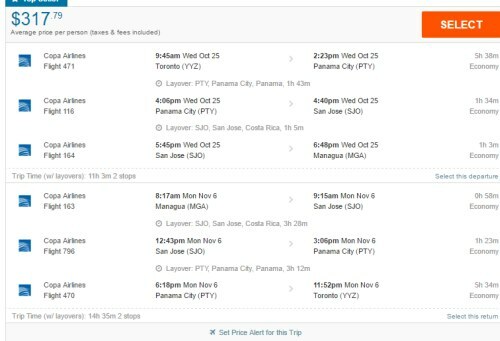 7 Responses to "Toronto to San Jose, Costa Rica - $245 CAD roundtrip including taxes | Nicaragua for $317"
How is the weather Late October in San Jose? We wanted to go around the different sides, could 10 days suffice? 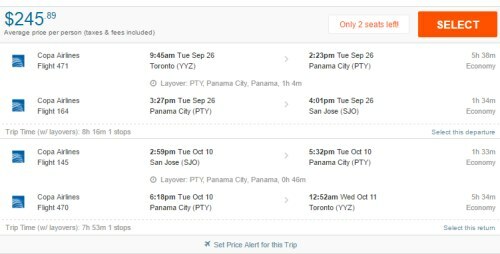 Anybody know if it is possible to book this trip but only use the portion YYZ to Panama and Panama to YYZ (and not using the Panama-Costa Rica portion of the ticket)?